School can be so tough. I know I had the hardest time navigating middle school, and to be honest, up through college. It’s hard to stay true to yourself when you have so many outside forces coming your way. There are so many changes going on during these years. You are trying to figure out what you stand for, who you are, what matters to you, who you want to be in the world (not to mention all of the changes happening to you physically!). That takes a lot of energy and can be so stressful. Add in the others in your class and at school who are looking for the same, the dynamics of people wanting to fit in and look cool, and people acting out their insecurities and projecting them onto others. You can see what a mess it can all be. Looking back it’s much easier to see it clearly — but it doesn’t minimize the potential there is for hurt feelings, alienation, loneliness and betrayal through the journey. If I can impart any wisdom from my experience, it is to spread kindness whenever and however you can. No one ever got hurt from kindness. When you are kind, you never have to explain your actions. You will never look back in regret for being kind to others. Period. 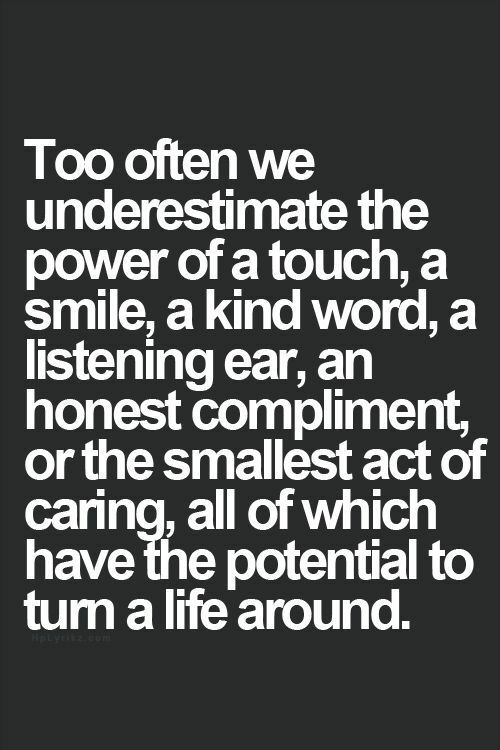 As the quote above says “Too often we underestimate the power of a touch, a smile, a kind word, a listening ear, an honest compliment, or the smallest act of caring, all of which have the potential to turn a life around.” Please try as hard as you can not to get caught in the fray (or fight) and spread an understanding, positive approach. Be that change you wish to see in the world. I was shown a really cool clip recently on a new comedy out, called The Duff. I can’t say whether it’s a flop or great movie, but at least it gets people talking… The Duff is a movie about an ugly acronym and inner beauty and explores how teenagers use social media to make peers feel like they’re not good enough. 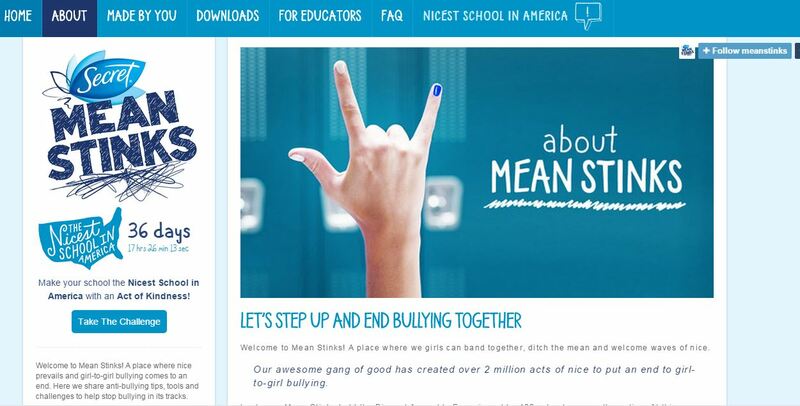 Leading up to the launch of the movie, the stars of the film partnered with a program called “Mean Stinks” and put on an assembly about cyber-bullying, which was watched by more than 40,000 students (a cool fact was that this was filmed at Los Al High, a local school to Long Beach, CA). Click on the following link for a short video about The Duff stars and their partnership with Mean Stinks – Today Show Video on The Duff and Mean Stinks. Also, see below for a teaser of what Mean Stinks is about. You can visit www.meanstinks.com or find them on Facebook for more information — www.facebook.com/meanstinks. I hope you check it out for some inspiration! Let’s step up together to flood the world with kindness! This entry was posted in Bullying Prevention and tagged #bekind, #bethechange, #endbullying, #floodtheworldwithkindness, #kindcampaign, #kindness, #meanstinks. Bookmark the permalink.